Overland Park, KS – In the past year, there have been dramatic changes in the long-term care insurance landscape. Several major insurance carriers are raising their rates significantly and some are even closing this line of business altogether. Industry insiders strongly believe that the rich policies that are offered today will not be around in a couple of years. This means that unlimited benefits and indemnity policies will be a thing of the past. What does this mean to you? It means that there is no better time to purchase long-term care insurance than right now. Universally, insurance is our financial defense. It is our way to ensure that nothing devastating or unexpected will undo years of responsible financial planning. It only takes one major surgery to burn through hundreds of thousands of dollars of savings. 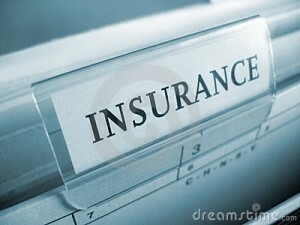 Therefore we understand that purchasing insurance is not an offensive financial move, but a defensive one. Long-term care insurance (LTCI) is insurance that will pay your expenses if you are admitted to a long term care facility. These facilities or nursing homes are typically institutions that help provide the requisite daily living services when an individual is unable to care for him or herself. This may include bathing, transportation, cooking, eating, and dressing assistance. It is essential for you to have a plan to deal with the cost of long-term care. Purchasing long-term care insurance is the easiest way to do so. Doesn’t Medicare or my standard health insurance cover my nursing home stay? While every state has its own policies, it is safe to say that in order to qualify for Medicare coverage during your nursing home stay, you must be impoverished by the state’s definition. While you might be able to get a minimal amount of benefit for a short stay, relying on Medicare is simply not a viable plan for dealing with the cost of long-term care. You will also need to check the coverage and benefits offered through your health insurance provider. Like with Medicare, it is extremely rare for standard health insurance to cover long-term care. There may be temporary allowances made for a short stay, but usually not for an extended period. You will most likely need to purchase insurance or pay cash for your long term care if you wish to live in a comfortable facility. Who should purchase long-term care insurance? Do not put off getting long-term care insurance because you think you are too young to need it. Unfortunately, anyone could end up needing LTCI, and while the risk of needing it is smaller when you are younger, you will need it for longer should something happen. Think about it: If the risk of people under 40 needing LTCI was really too small to warrant coverage, insurance companies would be selling policies for tens of dollars instead of hundreds. So if you can afford it, why not be prepared for the worst? There is also the issue of family burden. If you can afford the insurance, one way to help your children is to properly insure yourself. Otherwise, the burden of caring for you will fall on your children. The cost of long-term care varies depending on your city or state. However, the John Hancock Cost of Care Survey shows that a person living in Houston, Texas will pay about $35,000 per year for assisted living and an average of nearly $47,000 for nursing home care. Remember, these rates will increase annually due to the cost of living. You can check the current rates in your city and state if you click here. Long -term care insurance is a critical component of every financial plan. If you have any assets of value you should consider purchasing long term care insurance as soon as you can afford it. Remember, the younger you are, the cheaper the insurance will be on an annual basis. This combined with the changing landscape of the insurance industry makes it more important for you to act now, before ample policies are a thing of the past. Besides, there is always the risk that something might happen and you will need long-term care, no matter how old you are.